Mike Russell: My guest today is Pat Flynn. He's a father a husband and entrepreneur who lives and works in San Diego, California. Now he owns several online successful businesses. He's a blogger a keynote speaker a Wall Street Journal best selling author and of course a podcaster. He is host of the Smart Passive Income podcast and also Ask Pat they have earned a combined total of over 50 million downloads, multiple awards and also features in publications such as The New York Times and Forbes. He's also in his spare time if he has any an advisor for Lead Pages, Convert Kit and other companies in the digital marketing arena. I'm super grateful that Pat has taken a moment to come on this show. Pat welcome to the show. Pat Flynn: Thank you for having me on. Mike Russell: Awesome so let's get straight into it and find out exactly how you're using Adobe Audition? 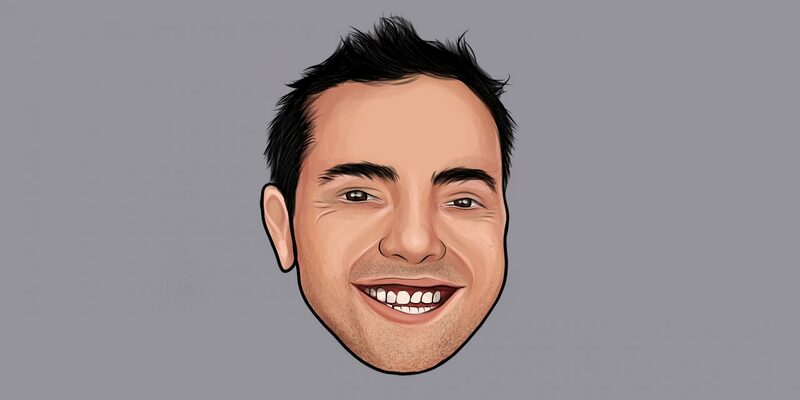 Pat Flynn: Yes so I use it for all things podcasting on my end. I mean I was using other software in the past. But Adobe Audition just super clean in terms of the workflows and you know just because I batch process and produce a lot of shows kind of at the same time it just makes it really really simple so I'm somebody who's all about efficiency and optimizing my workflows and Adobe Audition's become like the tool for everything with my podcasts multiple podcasts and you know you mention two there the Smart Passive Income podcast and the Ask Pat podcast. There's more shows like the one with my son. The cool thing about that is you know my son is 8 years old by the way our show is launching on June 1st. And you know I get him involved in the process too. So he's actually also looking at Adobe Audition and how I edit and the kinds of ins and outs of that and I'd love for him to one day when we get into Season 2 of our show maybe start doing it on his own. So I don't know if he would be the youngest user ever of Adobe Audition but I don't know we'll see. But that would be really cool. Mike Russell: I'm just thinking back to when I was 8 years old and no doubt Pat when you were 8 there was no Adobe Audition! It would have been tape machines and goodness knows what. Right? Pat Flynn: Yeah I mean I actually my boom. I had a boom box and I would record my voice on this little boom box you know with a cassette tape and I'd re-listen to it and then I play it like 2x speed and I'd laugh really loud because I sound like a chipmunk and that was about the the gist of effects that were that were there for me. Mike Russell: To have Adobe Audition or any audio editor. Especially that you can do multi-track editing in at 8 is fantastic. And the fact that he's training up on that is brilliant. So Pat you mentioned you obviously you're host of the Smart Passive Income podcast, Ask Pat, other podcasts as well. So a lot of podcasting to do. And obviously over the years you've honed your skills. You've received no doubt a lot of advice from other people. What would you say is probably some of the best audio advice you've received over the years? 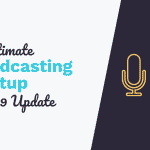 Pat Flynn: I mean number one especially with productivity is batch processing especially with podcasting you know it can be very it's a long process to get a podcast up and running. You know I teach a lot of people how to start their podcasts and those first few episodes are just a drag in terms of all the different pieces and parts of it. But you know it's part of the you know just the learning process. It's sort of a rite of passage as a podcasters to struggle with editing your first few shows before you either get the systems down or are you handed off to a VA or something like that. But you know I got some great advice from John Lee Dumas. When I was building my show Ask Pat and he was like Dude Pat like you just got out you just gotta take a day and record all your episodes on that day and you're going to be that much more ahead. And I did that. 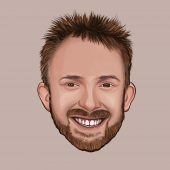 I wouldn't have been able to create Ask Pat if I had sort of just kind of randomly did Ask Pat when the next episode needed to be available I batch process and I would record you know four hours of content in one day which would for the shorter format show cover an entire month's worth of episodes. Because I was collecting voice mail questions from my audience and taking those MP3 files from Speakpipe and dropping them into Adobe Audition and just answering the questions from there and I got this I got the workflow down to a science and to you know down to the second I was saving and that was a great piece of advice. In terms of the editing process of podcasting. You know the best advice that I got early on was don't try to record a perfect show in one sitting in one recording like that's impossible. I mean it's not live. So you can benefit from the fact that you're editing these shows and now I have podcast episodes that you look at the tracks you know the multitrack and everything that's all involved there's like you know 100 different pieces that were all chopped up and put together right to make what I feel would be a great episode. Initially I would I remember recording some for some of my earlier episodes and going getting five minutes in with with one take. And then I'd mess up and then I go Oh man I've got to start over. And I go back erase everything and they go back to the beginning and try again I felt for whatever reason I felt like I had to get it perfect in one shot. And obviously that sounds silly especially those of you who have been doing this for a while but again I had never done it before and so that was kind of a new thing for me. 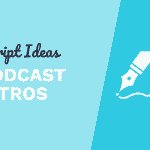 And then finally you know in addition to the voice that I include my podcasts I've recently been experimenting with adding other elements to add some flavor to the show as well. And I've always had music in the intro with you know my voice over guy and just the main intro to the podcast but I've been experimenting with sort of putting accents on and making different parts of the show more dynamic by adding some background music and some other you know sound effects and things like that behind it to just take it to a whole new level and I think that's important now especially that everybody's podcasting now it seems. How can I have my show be even more sort of engaging. How can I you know make it more experiential and simply by adding certain kinds of tracks related to a certain story that you might be telling. It really starts to get into a person's head in terms of emotion. I mean you know that's why you know if you were to watch a movie for example there was no music there was no soundtrack like it would be it would be weird and if you like watch Back to the Future and there's no there's no like songs it would be incredibly dull and so how can we add those same effects into our podcasting in a very similar way that like NPR does it with their shows and of course they have a team of probably like 20 people per episode working on it in some way shape or form with all the different pieces and parts of it and the journalling. Obviously I'm just one person but I still am able to find moments of my show where I can make it even stronger or make that point even more punchier or make that story even more emotional by adding just a layer of background music there. It really does stand out. Mike Russell: Wow I love that. I mean all of those points are brilliant. The first point you started off with on batch processing and then going into the second point about you know having to get the perfect take every time is brilliant. Unless of course you're live. But then of course always after the live you can take the live and edit it if needed. But I'm super impressed with the third point and upping production values introducing sound effects and music. And like you say what kind of a movie would Back to the Future or any movie be without the score in the movie and that kind of you used the word emotional. It does it defines the emotions doesn't it? And it's like you know every time I listen to the the main theme from Back to the Future you get all those good emotions coming. And I think that was a test done wasn't the where you play a sound track and it's a bad nasty soundtrack. Doesn't matter what's happening on the screen. The viewer is going to feel emotionally quite bad about what's happening and vice versa you can play a really good upbeat piece of music while something bad's happening on screen and the reverse happens so very very powerful. Pat Flynn: Just like like if you watch a horror movie. The scariest part of a horror movie is the music that is right before something crazy is going to happen right. It just it just makes that scene even more. There's just more tension. And like just all those things and even like Star Wars like Darth Vader's march the Imperial March like that just makes him seem even more like the the bad guy in the movie and just I mean all the things and so it's not very difficult either. I mean I use a number of different collections of music out there to find the right one. It does take some time. And you know just some practice but you start to match the the background song to the story that you're telling. It really does. Like you say change things and it can just enhance it and make it more memorable just like in a movie. Mike Russell: Absolutely. So I'm interested to get more now into projects that you've worked on and projects that you're looking forward to working on. So you mentioned benching and doing a heck of a lot of podcasting so in many cases you will do four hours of solid podcasting in a day witch like you say is really really smart because you're getting a month's worth of shows recorded produced and are you doing the post-production as well in the same day? Pat Flynn: I am not doing post-production myself anymore which is another tip and the story about that is that's something I was very reluctant to hand off because I really enjoyed the post-production. I felt it was you know a creative outlet for me. But as the CEO of my company you know I had to make decisions on where I need to spend my time and you know I now can record for four hours but I don't have to do any additional work before I see it online. I handed it off I guess there's one thing I do. I put those files on to Dropbox for my team and that makes life so much easier. And I started experimenting with handing things off back when Ask Pat started because Ask Pat wouldn't have happened if I didn't have any help but I was very reluctant to ever hand anything off and that was the first time I did it. And then after a few episodes got up and I was like wait I didn't edit it but it still sounds great. It actually sounds better than if I were to do it myself because you know we have an engineer on the team now who makes him even better. My question was like What else can I hand off. So I it off Smart Passive Income and you know with All of Your Beeswax with my son like that that post production. After the first few episodes it has now been handed off to you guys and it's just been really great to now have just the recording be the only thing that I do because I have so many other things that's involved in the business. Mike Russell: That's awesome. I mean the main thing is that you've been there and you've done it. You've been in the stage where you've been editing every single show that you've been putting out there. So you know exactly what goes into it what needs to be done. Pat Flynn: It was like six years. I was doing it for myself until I handed it off. And I've been podcasting for eight years now so I'm still new to the outsourcing part of it. But I always recommend that people do it on their own first for sure. Because not just because you know you need to learn it but not also because if you hand off to somebody else and that person goes away you can come back and pick up where they left off. But I think it's just appreciating the art of editing an audio file and all that goes into that. It is really something that once you finish you can be very proud of. And I think especially if you're somebody starting out that's really important and even just completing a show even before you share with anybody is a great moment. And I think that everybody needs to experience that multiple times just appreciate the art of audio. Mike Russell: Definitely I agree with appreciating the art doing it yourself and then I guess also you can be your own worst critic though when you you're editing and think oh I want to take that out oh I sounded awful there. Pat Flynn: Oh man. Like especially the uhms and the pauses and the things that don't necessarily you know get in the way of what you're trying to say but you know could obviously be improved. I remember my first episode I recorded it three times because I was just not happy with it the first time I didn't have a plan I just was like OK I'm gonna turn it on and go and it was just it was terrible. So many uhms random pauses I just was not happy with it. So the second time actually scripted every single word I was going to say I basically wrote a blog post and then began to read it as I was recording and as I was listening to that I was like putting myself to sleep because it just sounded so monotonous and there's no emotion no dynamic. And the third time I was like OK I know what I want to say here's the outline. Said it before I'm going to hit record and go and I don't care how many uhms I say it's going to be bad but I know the next one will be better. So I hit record. I went and so that was the episode that went out. Episode number one back in July of 2010 then Episode 2 I just said you know what. OK I'm just going to I'm just going to hit record and go again. And it was a little bit better. And each time it's gotten a little bit better better better and the uhms and the pauses still exist but they are far and few between now and I think it was a great decision for me to just go even though and not not rely on the I know some people who edit the uhms and all the breaths out and you know those things and that's fine. It can definitely add a lot of momentum to the show because you're kind of just progressing a little bit faster and that's okay. But for me I was just glad that I made that decision not to because it forced me to get better at communicating and speaking and not using as many uhms and not having as many random pauses and I have noticed that since starting my podcast I've become a lot better at communicating on stage. In a podcast or even in person and it's just something that I know wouldn't have happened if I had just relied on editing every mistake completely. Mike Russell: That definitely is amazing just as you mentioned it's helped you to become a better communicator a better speaker. And it's really interesting that story you told there about how your first episode you even started off scripting it almost like a blog post and just found that that didn't really work. That didn't cut it in audio. And then you get better and better over time and now to see the year that we're recording this podcast 2018 just earlier this year. I was in San Diego you on stage doing the closing keynote to Social Media Marketing World. I know you do keynotes at many different events that's when I recently saw you at. And that was a production. I mean wow. And that all came from podcasting right? 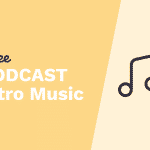 Pat Flynn: It did it did you know the confidence came from podcasting. The storytelling came from podcasting and just the communication. So yeah that was that was a lot of fun and it was really great to see you there. And my dad was in the audience too which was really fun. But yeah I mean the storytelling. I mean that's really what podcasting is I feel meant for but storytelling is just a form of communication that everybody does and if you can get really good at it it's very powerful. It's a very powerful way to share a message. It's a very powerful way to sell. If you're doing any selling of any kind it's a very powerful way to you know get followers and build fans and have a deeper relationship with your friends and all the things and so I have worked on my storytelling I've gotten coaching for storytelling it's that important and it's that much. It's a thing that shows up in all areas of my business is the whole storytelling aspect and you know the more you can make it the hero's journey and the more you can make your customers the hero the better that your results are going to be. And so storytelling is an art as well and in and of itself and to combine that with podcasting even while teaching. It's a combo that's going to win. Mike Russell: Out of everything you've worked on podcasting. Keynote speaking you've launched multiple online courses as well recently including a very good podcasting course. I'm curious what's the most challenging project you reckon you've worked on? Pat Flynn: Man, the most challenging aspect or the most challenging project was my book Will It Fly. So you mentioned earlier that I was a Wall Street Journal best seller and this was a this was a self published book that then became a Wall Street Journal bestseller which I didn't even know was possible but it's not all rainbows and unicorns. It was a struggle to get up and running. I had began writing this book in 2014 and it was just one of the hardest things I've ever done. I mean I remember Mike sitting and trying to get something going with it. And I was just staring at a cursor that was just like blinking in front of me and a blank page for so long and even even when I'd get some things written down the next day I'd begin writing again. And it was just such a drag. I actually had to hire a writing coach a book writing coach to help me through that process because I had this message I wanted to share and I just didn't know how to share it. But I knew it was really important. The book about how to validate your business ideas so you don't waste your time and money. You can you can do things ahead of time to experiment with certain ideas just to ensure that yes it is something you should do and will be successful or not. And this was per the request of my audience based on surveys that I had run based on conversations that I had and I knew I had to write this book. I think that's why it was even more of a struggle because it was that important to me. I had put it on this pedestal this like artifact that was going to be just the perfect thing. And I did that so much that I was struggling to write. And I remember I had like a four hour block to write one day and I had one paragraph to show for it. It was that much of a struggle but the biggest advice I got from my coach was to treat the book like a series of blog posts because I could write a 5000 word blog post in just a few hours really easily. I've been blogging since 2008 but for whatever reason this book was just such a bigger thing to me. But when I broke it down to to chapter by chapter and I treated each chapter like a blog post. It just really started to flow and come together. And then you know it was published and yeah it's a paperback book but it can also be found on Amazon and then the audiobook. Oh my gosh the audiobook is actually still going strong and it's actually making me more money than the physical book right now. I did go into a studio to record that book because there is a sound engineer there and I learned from my first audio book that you know you don't even know the mistakes you're making while you're making them sometimes with a 60000 word book that you're reading and to have somebody there who goes I think you said that wrong or you skipped a line or you know you didn't pronounce that correctly. You know those kinds of things like really important when it comes to the overall quality of an audiobook that you that you want to have out there and I'm just very thankful that the book even years later now it continues to fly. I mean it was recently published in Poland it's sold thousands of copies in Poland recently it's getting published in Vietnam. It was published in Romania and Korea and Thailand. It's pretty crazy how far and wide reaching it is especially as a self published book I don't even think I mean this was possible. So I mean the real reason it's happened is because of the fans and the people who have followed my brand for a while and I know many of those people are our fans because of the podcast and it's the podcast still is the number one way people have found out about me I've ran surveys recently it still continues to be the number one way that people hear about my brand and learn about me and get involved with my brand and business so. The book was the hardest thing in life. It was so hard. I'm working on a second book now or very shortly and it's just I'm a little worried that I'm going to go through a lot of the same struggles that I did the first time around. But it was so worth it. Mike it was like oftentimes the hardest things that you know are important. I mean they're hard because it's almost like the universe testing you like hey are you going to be the person to do this or are you going to you know let somebody else do it. And so you got to get up. You got to keep going. And I'm just very thankful that I went through all those hard times because now it's you know helping a lot of people. Mike Russell: That's so cool that's so inspiring when you mention it getting published in Poland and Vietnam and so on. That's in the native language, right? It's getting translated? Pat Flynn: Yeah! Like I get copies of these books and I'm like How do I know this is translated properly like it could just be talking smack about me and I wouldn't even know. But you know we work with trusted publishers who translate these properly I hope. Mike Russell: And you mentioned there as well you know getting the inspiration and staring in front of your screen a white screen with a blinking cursor and then breaking it down into blog posts and that helping you so you know playing into your strengths which I believe you started as a blogger online right. Pat Flynn: I did yeah in 2008 and I could write like crazy I was I was writing three blog posts a week for a couple of years and then I introduced the podcast once every other week. Still blog posting three times a week and then I went to this conference that no longer is in existence but I went there and that was kind of like my home conference for a while. And everybody who I spoke to who knew about me could not stop talking about the podcasts again once every other week versus three times a week blog blogging and I was like gosh there's something here like what about my What about my blog. I'm blogging more like what about this post like what do you guys think of that? No. We love the podcast and the story you told about this or that time you mentioned that and that's when I that's when I was like you know what this podcasting thing. I mean I'm going to take some time from the blogging and put it into podcasting and so I started blogging once a week and podcasting once a week and then I added the second podcast in 2014. Ask Pat and you know I've just been going gung ho with it ever since it's just been an amazing platform to just share stories on and build an audience and build trust. Mike Russell: You mentioned the challenges obviously of publishing the first book and now with a second book on the horizon wondering if you're going to go through them again. So do you believe that inspiration is something that comes and goes like the Muses some days they're with you and some days not. Do you work with that do to try and push up against it and be productive anyway. You have to constantly be productive doing what you're doing with a weekly podcast and blog posts. But what are your thoughts on that? Pat Flynn: Yeah I mean the motivation comes and goes it's just human nature. Some days you're feelin it some days you're not. But you need to have systems in place or something that allows you to on those off days if you want to call them that to get to reinspired and I have a few things that work in my favor. I have an amazing community who I always go to when I'm not feeling what I'm not feeling it I go to my Facebook community or my audience and I just start start chatting with them even live. That just energizes me like like nothing else. I have a board behind behind me here in my office with hundreds of thank you notes from my audience and I look at those and I go wow like people need me. If I let my just fear or my funk or whatever get in the way. I mean I'm going to be letting people down. So I have to go up and do what I need to do and then the other thing is actually having one on one conversations with people I do this. This surprises a lot of people you know I have an e-mail list of over 200000 people but I randomly select 10 people who have come into my e-mail list over the past month just randomly and I reach out to them and I say hey can we get on a phone call. I just love to learn more about what I can do to help you. And first of all these people are kind of blown away they they don't expect that from somebody with this size of audience to to reach out to them. They almost feel like they win the lottery sometimes which is which is kind of funny. Some people go is like an automated e-mail I don't understand what's happening here. I go No I want to have a conversation and I get a call usually on Skype and sometimes those conversations are 5 to 10 minutes they don't go very long because just people are shy and they don't know what to say but sometimes I mean I've had people on the line for two and a half hours because I just keep digging deeper and asking them about their story and what like why they came to the blog and what they need help with what can I do better. What is working for them now and what kinds of programs would help them. What kinds of blog post should I be writing about. 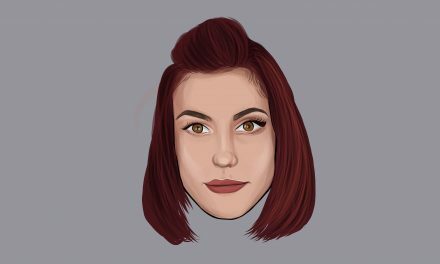 Who who they would like to see on the podcast as a guest. Those kinds of things those conversations Mike have been the most amazing thing for me over the past few years and it has helped me determine what to do next. Typically all the time so I'd recommend to any business owner out there like especially any podcasts or anybody who's producing anything for any you know sized audience. Try to have a conversation with somebody on the on the other end because then when you create content you have that conversation in the back of your mind you actually have a real person that you can remember and empathize with especially if they tell you stories about kind of where they're coming from and how you're helping them. 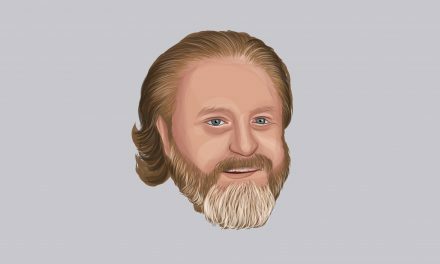 You know a big exercise in the online space at least or in podcasting is to imagine who your avatar is your ideal listener. They sometimes call it but I don't really like that exercise because you're making up a person like why not go out there and actually have a real conversation with somebody in your target audience or one of your listeners and just learn about them and understand them and empathize with them so that the next time you create a piece of content you have a real life story and you have a real person that you can go to who you could possibly help or ask questions to have a conversation with instead of just kind of a made up Avatar. And that that's been huge for me not that by far Mike is the number one thing that gets me out of my funk is these Skype calls that are scheduled throughout the month because it's just you know for days later I'm motivated. Mike Russell: That is a fantastic tip so basically tapping into your community your people the people around you. I love that. Wow. So let's move on from challenging projects and getting over challenges to cool projects for the future and things that you're looking forward to perhaps something you've not even told somebody about yet. Anything interesting or cool you're looking forward to or hoping to work on in the future, Pat? Pat Flynn: Yeah. You know I am going to be putting on an event of my own next year in 2019 here in San Diego. And the goal is to get anywhere between 500 and 1000 people there. And it's going to be interesting really fun and I don't know exactly the kind of conference that's going to be yet because I like to as you know take things to a different level. But we'll see. But it's something that's been a long time coming a lot of people been asking for. And I feel like it's the right time at this point in my business now especially with potentially a new book coming out right around that time. So it's you know timing will play a role in that. To set this up I'm working on something this year that's going to kind of begin to start teasing that event next year. And it's kind of a big deal so June 17th of this year 2018 is my 10 year anniversary of the day my boss told me I was going to be laid off. And this is what I call my let go day. And this is a day I celebrate every single year. Might sound silly to some of you but I do celebrate every year because it was a huge blessing in disguise I didn't know at the time. It really was hurtful at the time but it actually was the reason why I am doing what I'm doing now. I'm very thankful for that day. And so this is the 10 year anniversary coming up. So one thing we're doing is we're taking my book Let Go which was it's just the Amazon Kindle book that I had written and I had written a second edition with more content about you know the idea of letting go. So it's a kind of a double meaning this book called Let Go. I got like go from my architecture position and then became an entrepreneur. So it's about that story really into the details and the emotions of that and the certain decisions that I made. But the other meaning behind that is in order for me to get to become an entrepreneur. I had to let go of who I was who I believed I needed to be or who I was taught I needed to be based on society or what my parents told me I needed to do or you know just like I was grown up to be conditioned to think that I had to have a 9 to 5 job and it was really hard for me to walk away from that especially after going to school for five years so I told a story in a book and it did very well became an Amazon best seller. The audiobook is done very well too. But I've always wanted a hardcover of that book and so on June 17th I'm launching a Kickstarter campaign. And this isn't a campaign to to make money. It's just you know if I break even I'll call it a success. I mean it's really more to give back to the fans and to give them something to get inspired by. And so it's going to be the first hardcover version of this book. Coffee table style. Very very beautiful with illustrations and photos and images and whatnot. And one of the pledge goals is going to be for a VIP level that will include a signature edition of that book. So really really adorned with a sleeve that has my signature on it and other things. But it will also include a VIP ticket to next year's event and that will be the first time I'll ever have mentioned it sort of in a public arena like that besides here so I'm interested to see if people are going to take me up on that offer for that particular pledge level. But I do have a large number of super fans and raving fans and my audience who I know would jump for that opportunity and it would be a great way for me to you know for those 100 VIP people attendees to then have conversations with them and ask them what kind of event they would like and we'll kind of take it from there so it'll be a presentation or not a presentation but a whole event that's kind of stemmed from the people who have already signed up for it and it's going to come from them instead of said it for me. You know as far as the origin of it but that's kind of what's happening I'm really excited about it and this Kickstarter I've never done a Kickstarter campaign before either. And so we'll see what happens. But you know the book is going to have a large text on the cover that says Let Go. And even one of the one of the editions is going to have a little kickstand so you can actually like you know have it sit up almost like a frame and that is a call to action for people. It's not just my book Let Go but it's a call to action for everybody to let go in order to grow you like what got you here won't get you there you have to let go of things just like climbing a ladder you can't climb a ladder if all four you know your two arms and two legs are on your lot the whole time. I mean I guess I can imagine a way a person can do that. But how do you climb a ladder you have to let go of one of those things and climb higher and then continue to like go in order to grow. So that's kind of the fun project that's happening and that's on the table. Mike Russell: I really like that. Wow. I'm looking forward to hearing more details about that. So that's June 17 is your Let Go day. Also this year I believe it happens to be Father's Day as well. It's like a double whammy for you Pat. Pat Flynn: It is. Isn't that crazy? Mike Russell: Which is going to be great. Not only that but we're recording this podcast now in May 2018 and then the show is going out towards the end of May or in June. But I'm going to see if I can get this podcast released on or as close to June 17 2018 if that's OK with you? Pat Flynn: I mean thank you. Like just I mean not necessarily but I mean I appreciate that so much. Thank you. Mike Russell: Ok great. So wow cool things to look forward to an event for 2019. Let's look back now Pat to your childhood and you're an audio guy it's clear that you've always been into audio in one form or another. So where did it all start for you in childhood than you mentioned earlier you know playing with your boom box maybe you can tell us a little bit more about your experiences or maybe one experience in particular which made you smile and think yeah there's something about audio there's something about this I want to get involved in? Mike Russell: Definitely, I like that a Talkboy and yeah being able to change your voice I always found that fascinating not only being able to listen back to your recorded voice but also doing strange things to it like pitching it or yeah just some crazy effects. So talking about crazy effects and changing your voice. 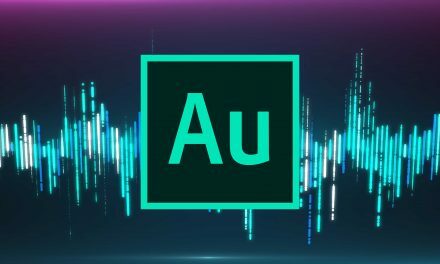 That's exactly of course what Adobe Audition does so I'm really excited to ask you a few questions around to Audition and maybe some of the resources and gear you use that as a podcaster or in particular. So let's start with the Adobe Audition. Many good features but if you had to pick one what would be your favorite feature in there? Pat Flynn: Gosh you know I have played around a lot with adding effects and just the effects area in there is so great I haven't published anything related to that but I've been more using it as a way to just you know one thing I do is I have two kids I bring them in the office and we just mess around with the equipment. I think that's one of the coolest things I want that to be a memory that they have. I remember when dad brought me and we were recording on the microphone. We were shooting videos stuff and you know like one of the things that I know is really cool we just talked about is like messing around with your voice. So I have my kids my 5 year old daughter my 8 year old son we come in and we record and we use the effects area to change the pitch and we change the sound and we just make it sound super silly we just have a great time. I mean I think that's great and whether those things ever get published or not. I mean it's more about the memories that you create with those around you. And I think like you said like just changing in the pitch of your voice is really fun but you know it's really easy to do like on some of these other programs it's not so intuitive and there's not very many things that you can do with Adobe Audition you have a full range and it's almost a little overwhelming sometimes how many options you have. Which is why I love going into YouTube world to find out how to do certain things and you know it's funny I come across a lot of your videos Mike when I'm on searching for audio related things so that's been really helpful. And thank you for that. But you know just just the ability to easily turn things on and off in terms of effects and copy and paste them and putting them into different tracks and whatnot it's great. One of my favorite not not related to that but as a podcast producer one of my favorite things to do is to export in a certain format. I think it's FCP right. I can't remember the name exactly but it allows me to share it with my team so they can essentially pick up where I left off and do what they need to do with it to make it sound great. I can't necessarily do that with other programs it's just you know the ability to share the Adobe file with others and have them pick up where I left off is really really really handy too. Mike Russell: Excellent. Yeah and like you say definitely getting the kids into your recording area and getting them playing with the equipment recording their voices. And likewise as a father myself I bet it must have been an amazing experience for you the first time you got your kids their voice. And then you started applying effects and you watched their faces as their voices were changing in front of them. It's like it's one thing to hear your voice back but it's another thing to hear something some strange stereo will pitched effect on it right. Pat Flynn: Yeah for sure. Mike Russell: Cool so yeah definitely effects gets a big mention. 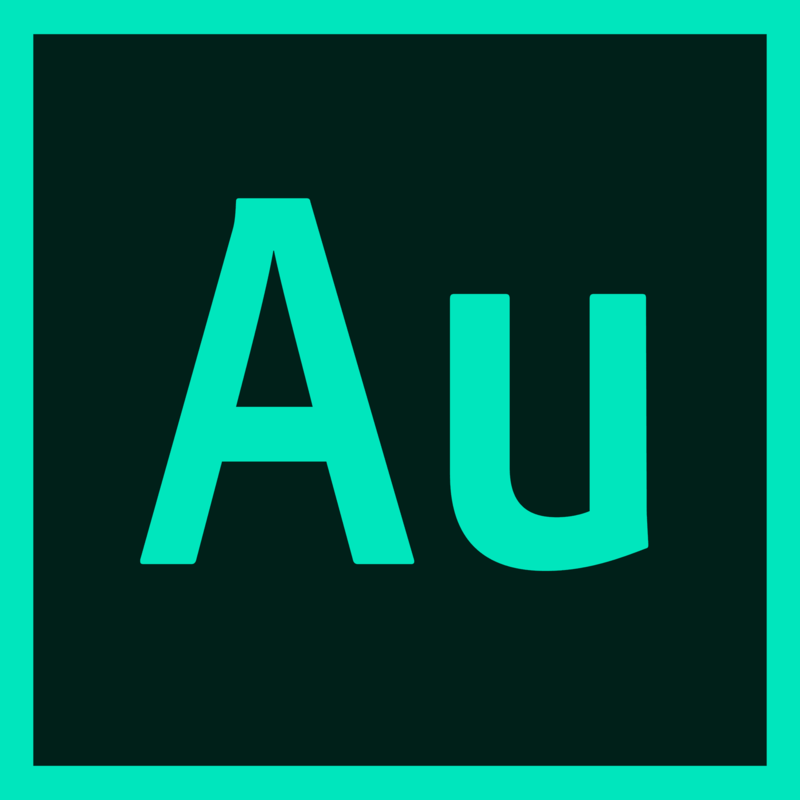 I think Adobe Audition has some of the best native effects obviously there are really cool third party plug ins you can buy. But certainly inside that package the native effects that come with it are more than enough to get started and get advanced with. 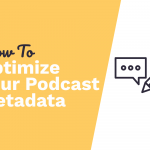 So what about you mentioned batching and getting your process your podcast production process right down to the second of saving time. Pat, can you share with us any time saving workflows or shortcuts that you've used or your producers your editors use right now inside Adobe Audition anything you discover that you like? 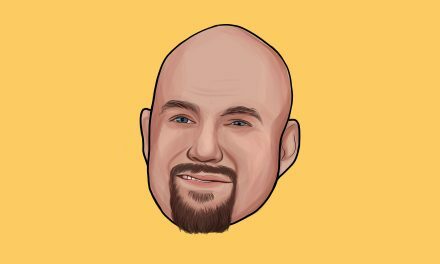 Pat Flynn: I mean for me I have master template files for each of the shows that I have so that when I a new show I'm never starting from scratch it's all where it's already they are the intros are already there and I can literally just open up that file and hit record and then save as that next episode and then I just literally have to drag and drop whatever even you know one of the nice things that I can just drag and drop a movie file which Skype records in I'm in movie format and it just you know it just creates the audio file for it there and I can I can easily read it easily match pitch and whatnot or match tones and volumes. I mean most my team does most of the heavy lifting but actually it's the tool that does it for us most likely. But the master template files are something that I deal with every single time and that's again something that just makes it really simple. Then the exporting and you know saving as a wave file and multitrack and you know all those things. It's just it's just so easy it's just so ridiculously easy to do. You know I wouldn't. I wouldn't change it because it's just it's just on fire right now. 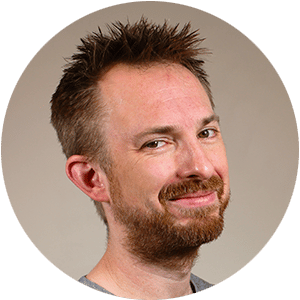 Mike Russell: We've spoken a little bit about some of the features inside Adobe Audition but I'm curious what you're using as one of the top podcasters in the world to make your audio sound really good. So let's talk about resources and of course I can't get you on the line Pat Flynn and not talk about audio gear that you're using so share with us. Maybe some of the gear, some of the microphones, the headphones if you've got a mixing board but also you mentioned earlier about introducing sound effects and background music into your shows. Curious if you'd share maybe where you get those those elements from as well? Pat Flynn: Sure. So I'm using right now you could hear it Heil PR 40 and it's the golden black edition which is really cool usually you see the silver ones but I got the golden black one which is really funny and kind of I love equipment video and audio stuff like I probably have way too much of the stuff but I'm also a big fan of the ATR 2100 from Audio-Technica. I take that on the road with me and that one's really fun. I'm also using a dbx 286s. Thanks to you and you helped me set that up which is very nice. As far as where I get my background music and such two places. Number one is Art List dot io. And I love Art List dot io because I just pay a flat fee every single month and I can download and use as many of them as I'd like. And in any which way I want. And so I use those in podcast episodes and in videos too and Audio Jungle I use especially for things like sound effects and other kinds of things that you can't find in Art List which. You know the nice thing about Art List specifically is you know I can imagine myself listening to those meet those songs on the radio like they're not just like stock sounding kind of songs they're actual artists. This is how they make money so I'm supporting sort of the independent artists and I just the music is great. It's actually really really good and you can you can base it off of the video type so you can select a video type that you're creating like let's say you're doing a time lapse video. Well here's all the songs that are most common that people are using for time videos and the ones that would you know make sense for or I can go I want… I can go into different moods. I want a tense song so I can I can click tense and all the more tension kind of based music is there and I can really hone in on the kind of music that I want for that particular use case in a very easy way that's why I really love Art List. I'm in an Audio Jungle mainly for just the one time downloads for certain things I might need. There was an episode I did back I think it was episode 138 of the Smart Passive Income podcast. I started off the show by pretending like I was at the airport and so I just got some background airport sounds from Audio Jungle. I put it in there and you know people people don't even know the difference they think I'm actually at the airport recording that which is really fun and I actually tried to record at the airport but it was just with my Zoom H6N which is the portable device that I use when I'm on the go. But it just didn't work at the airport so I found some Audio Jungle music or sound effects to put in there but yeah then on the go. I'm using the Zoom H6N and I'm usually just pluging the ATR in there or sometimes I get some lav mics into my phone so I use an iRig mic to do interviews on my phone if I really am going very light on the equipment because those iRig mic lavs they plug into each other so you can kind of cherry rig them you can have even up to six all going into one device which is pretty cool so yeah a lot of things I use. 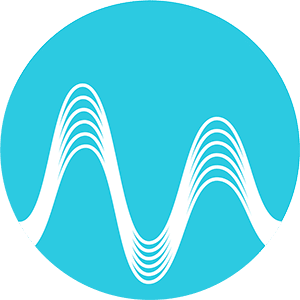 Mike Russell: Definitely the Art List dot io and Audio Jungle for sourcing music and effects really cool stuff. 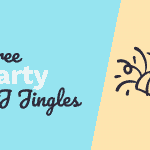 Audio Jungle, well Envato their parent company is kind of like a rabbit hole because you get into the audio side. But then you find they do motion graphics templates and you find they do like bits of code as well and it's like wow, you can spend a lot of time there. So that's really fantastic. And it's been a great episode lots of really good advice in here. Good stories and I hope that people are not only going to listen to this one but maybe rewind back and listen to some of your tips again but I'd just like to wrap up at this point. I know there will be many people listening right now who are young and they aspire to get into to doing what you're doing, Pat. To being not just an audio producer or audio creator but an online creator. Because I guess that's the way it's going isn't it? We're all creating a little bit of everything. We're all doing a bit of video. We're doing a bit of written word. We're doing a bit of podcasting or audio creation as well. So with that person who's who's looking to get into this this industry that we're in. What would your advice be to them? Pat Flynn: I mean my advice would be to do what you can to help people. I mean this is really what makes a successful anything these days when you're creating content. How helpful can you be? And have conversations. I mean one of the things I do in my business that surprises a lot of people as I have conversations with like I said those people on my email list every single month and that tells me more than anything what I can do to help and the better I can serve my audience the more rewards come back. I mean that's really I have a saying It's your earnings are a byproduct of how well you serve your audience and then you just got to get started and you're gonna fumble you're going to struggle you're gonna make mistakes you're going to fail. And that's all part of the process. You just you just have to get started though. One thing that drives me is doing some thinking about the future. Going back to the Back to the Future analogy that I always use in every single podcast episode essentially that I create. But you know I always think about you know when I'm an old guy and I'm sitting back looking back at my life like am I going to have any regrets? Is this something that if I don't do right now would I even tell myself like yeah you know it was a good decision to not ever do that it's likely never going to happen. So I always think about the what ifs right. I don't want to die with what ifs. I want to die with oh wells right like oh well at least I gave it a shot. At least I gave it a chance. And so you know you just got to take the leap and the other thing about that is it's hard to do on your own. You got to find people out there who you resonate with whether you have a direct connection with them or not. I mean when I got started in business and in podcasting I had mentors that I looked up to that I had never spoken to before but they were still my mentors. They were still motivating me and then I had people who are closer in and around me who were doing the same kinds of things other podcasters other other friends in the business space and we would get together in a very formal way and I still do that like two times a week. I meet with two different Mastermind groups and there's about four to six people in each of them and I've been with these people for five years every single week. They are a top priority in my life because we held each other accountable we help each other through struggles. We set goals and you know we are just there for each other and that's really important to so find people who you can get encouraged by and feel motivated by but who you can motivate as well. I mean you are the sum or you are the average of the five people you spend most of your time with. And so why not spend time with people who are going to lift you up who you can lift up as well. So those are just some high level tips that I have or anybody who wants to get started with really anything but remember just why are you even thinking about doing this? Remember the why. Because you know it's a it's a grind. It could be a daily struggle. But if you remember why you are even struggling in the first place like why you made the decision to go down this route. It's going to make it a lot easier for you because and you'll fight through it. Mike Russell: So so cool and such a good place to leave it. Brilliant brilliant chat, Pat. Really enjoyed it and yeah grateful for all the advice you've given and particularly that last comment on helping people and also connecting the importance of connections. So. Well thank you very much for joining me on the show. And for anybody who's interested to check you out online and perhaps even find your Kickstarter maybe you can give just one place that people can go to to find out everything you do? Pat Flynn: Yeah one place Smart Passive Income dot com and that's it. Mike Russell: Awesome Smart Passive Income dot com and what social network are you most active on would you say? Pat Flynn: Oh man. Twitter and Instagram. But I like Instagram. You know I love sharing a lot of behind the scenes there @PatFlynn is where you would go for that. Mike Russell: Pat thanks for joining us. Mike Russell: That concludes this episode would you like an extra challenge to win the awesome audio gear giveaway? Hit subscribe and review this podcast. Then email the details to podcast at MRC dot fm for an extra entry into the awesome audio gear giveaway. Good luck. The above audio transcript of “Adobe Audition Podcast – Pat Flynn” was transcribed by the best audio transcription service called Sonix. If you have to convert audio to text in 2018, then you should try Sonix. Transcribing audio files is painful. Sonix makes it fast, easy, and affordable. I love using Sonix to transcribe my audio files.